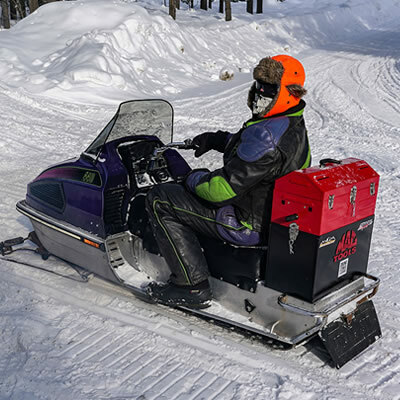 Looks like it’s time to re-visit the Arctic Cat Trail Cat, compliments of reader Jamie Johnston Cagle. 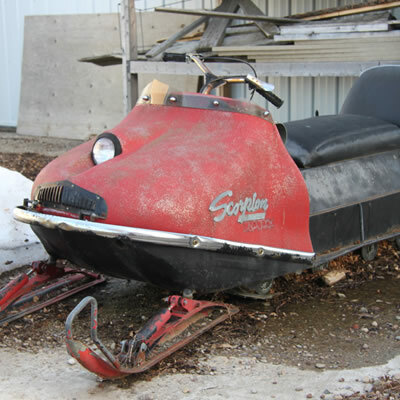 Jamie recently sent us a photo of his vintage AC sled. Other than the cool Trail Cat itself, what has us equally intrigued about this photo is the old stars and stripes helmet perched on the seat of this Trail Cat 4000. That helmet in itself is a classic! Typically these machines were good on the trails, not so great on open terrain. 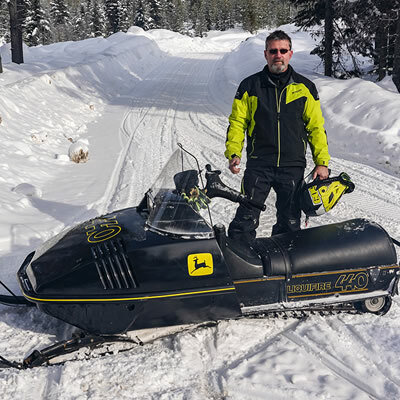 This snowmobile was considered a workhorse in the Arctic Cat lineup in the late 1970's and early 1980's. They sported a fan-cooled Suzuki engine and were as reliable as the day was long, though reportedly these machines were a bit nasty to start. 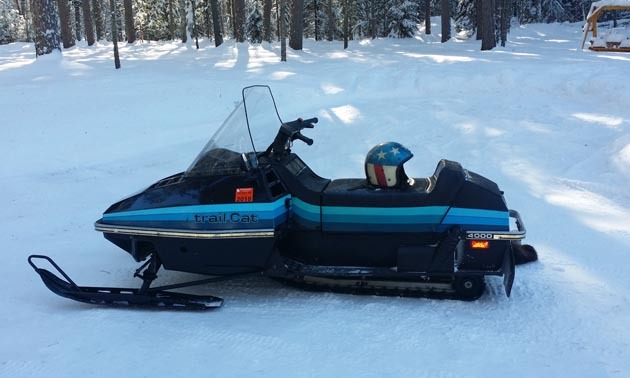 Thanks to Jamie Johnston Cagle for sharing a photo of his vintage Arctic Cat Trail Cat and hang on to that classic helmet.